Or view larger version. Untitled. February 16, 1941. Unknown photographer. Gelatin silver print. Collection of Oakland Museum of California. The Oakland Tribune Collection. Gift of Alameda Newspaper Group. This is a photograph of the interior of the sprawling Lockheed aircraft factory in Burbank, California. 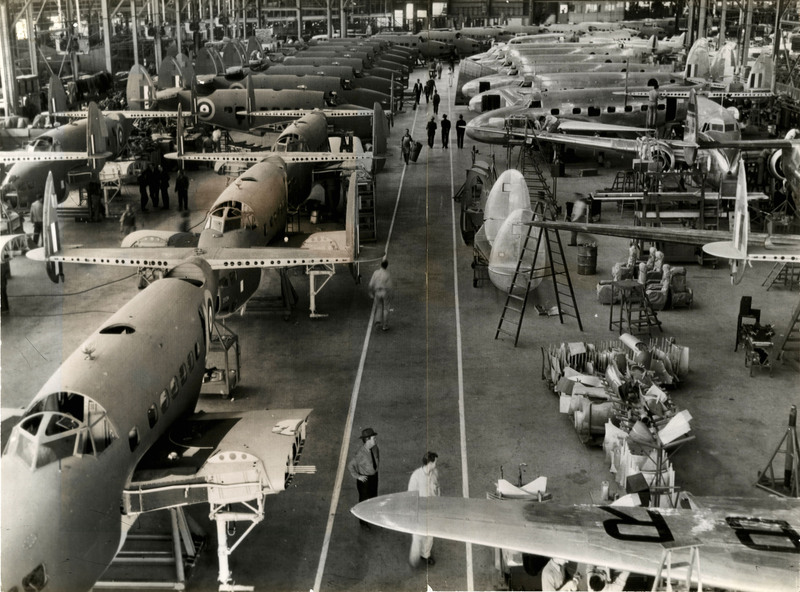 This photograph shows one section of the assembly plant where a large order of Lockheed Hudson bombers for Britain is nearing completion. Sir Hugh Dowding, the British air defense chief visited Lockheed on February 16, 1941 in order to check on the production of the bombers the United Kingdom ordered from this U.S. factory.